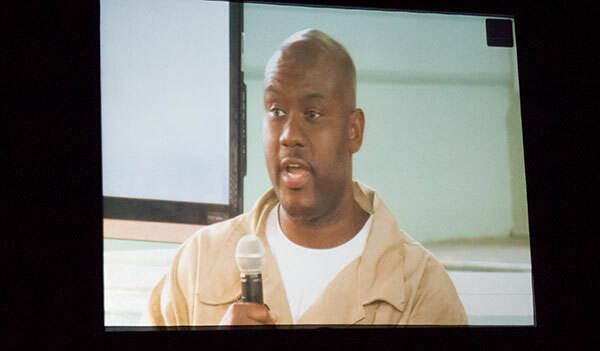 On October 10th the Vera Institute of Justice held their Reimagining Prison conference at John Jay College. The event was the culmination of their Reimagining Prison Project and the release of their Reimagining Prison Report, which makes the case for a human-dignity centered approach to incarceration. 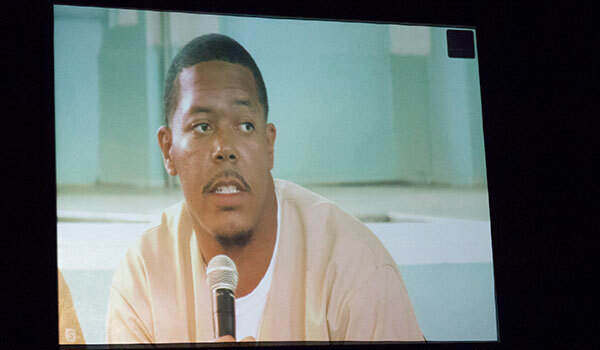 The event was also held at the Cheshire Correctional Institution in Cheshire Connecticut, where members of the innovative T.R.U.E. Unit could be digitally telecast to the entire conference. Developed by Scott Semple, Connecticut’s Department of Correction Commissioner, with strong support from Connecticut Governor Dannel P. Malloy, and the Vera Institute of Justice, the vision for the unit is: Truthfulness, Respectfulness, Understanding, and Elevating. “It’s my hope that when we all put our minds together, we can envision a system that lives up to the ideals in which our country was founded on,” said President Mason. She then moderated a discussion panel with Nicholas Turner, President of the Vera Institute of Justice; Malloy; and Stanley Richards, Executive Vice President of The Fortune Society. All three panel members also touched on our country’s history of discrimination and unequal criminal justice practices as a fundamental reason why, as a society, we have to rethink our prisons. “I've recognized through working in the criminal justice system, how it treats people of poverty and color, and how opportunities afforded to white people and people with money are not afforded to people of color,” said Malloy. “I also came to understand that we had too many people in prisons for the wrong reasons. We have to stop sending children to prison, because when you send a child to prison, you are likely to have him for the rest of his life entering and reentering prison.” Turner explained that to move forward, we have to confront our country’s history of racism. “We need to get to the fundamental questioning of what the system is built on, one of white supremacy and racial oppression, and the dehumanization of people,” said Turner. This concept of giving people in prisons a sense of dignity, so that they could embrace their own humanity, hit home for Richards. “As a former incarcerated man of color, I spent most of my life cycling in and out of prison. I did not see the beauty within myself,” said Richards. “It wasn't until I went to school that I realized that I was not all the things all my teachers told me. I wasn't the dumbest guy in the class. I wasn't worth nothing. I realized that I wasn't all of that.” His non-profit organization, The Fortune Society, provides hope and guidance for formerly incarcerated individuals, with over 50% of the staff being formerly incarcerated. “At Fortune, we know that the crime is what people did, not who they are. We let people know when they walk through the doors, they are not the worst thing that they have ever done,” said Richards. Christopher Belcher, a T.R.U.E. Mentee, said that growing up he just wanted to be a part of something positive, and that being caught up in the criminal justice system was something he never thought he’d experience. “It’s easy to be a part of something negative, just walk outside,” said Belcher. Now, being in the T.R.U.E. Unit, he’s often moved to tears by officers and mentors regularly showing him compassion and support. One of the officers coaches his basketball team. “He’s wearing a different hat as our coach, and I get to see him as something else, someone supporting me.” After he leaves the Cheshire Correctional Institution, Belcher hopes to become a strong advocate for prison reform. Click here to read the full Vera Institute of Justice Reimagining Prison Report.